With several reports of the first Worlds Collide issue hitting mailboxes now, there's no time like the present to check out Bleeding Cool's “Between the Pages” Paul Kaminski interview. It's nearly fifteen minutes long, but well worth the watch if you're in need of more crossover hype! 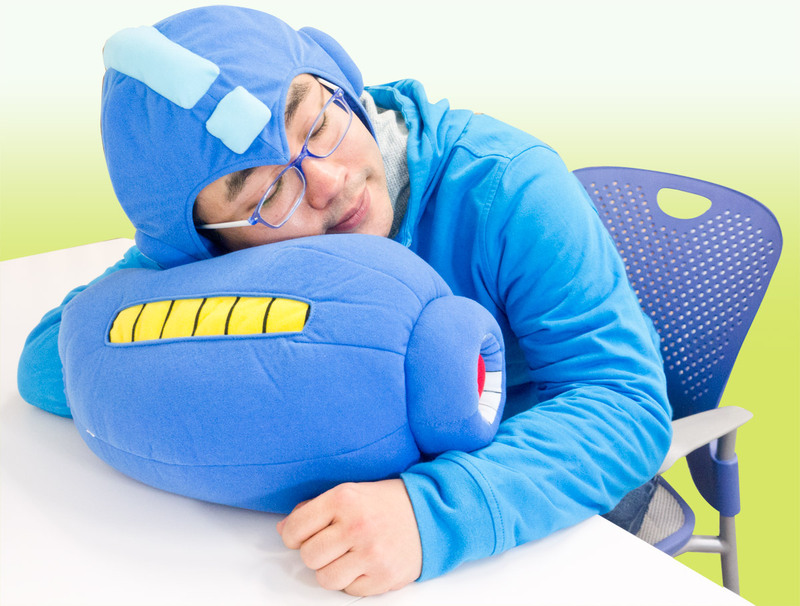 Grab your Zenny and fly by the Capcom Store. Pre-orders will be taken through April 25! 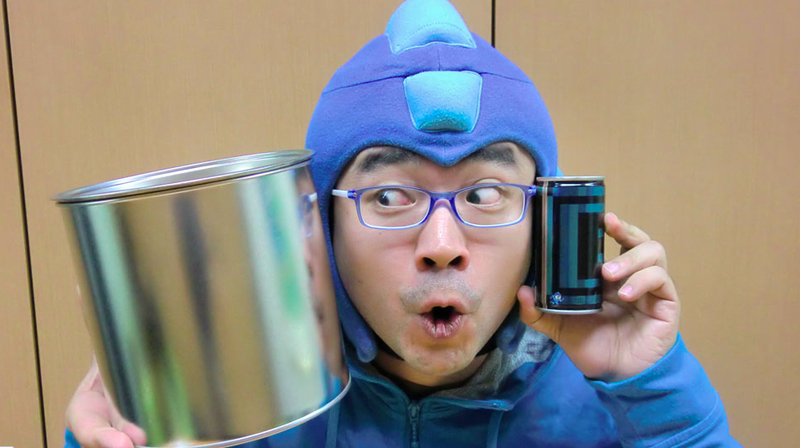 In town for GDC, Keiji Inafune paid a visit to the Mega Man Boss Battle gallery art show. With pen in hand, he left his mark -- a fresh sketch of Mega Man, right next to the work of his fans. Hit the jump for a closeup. 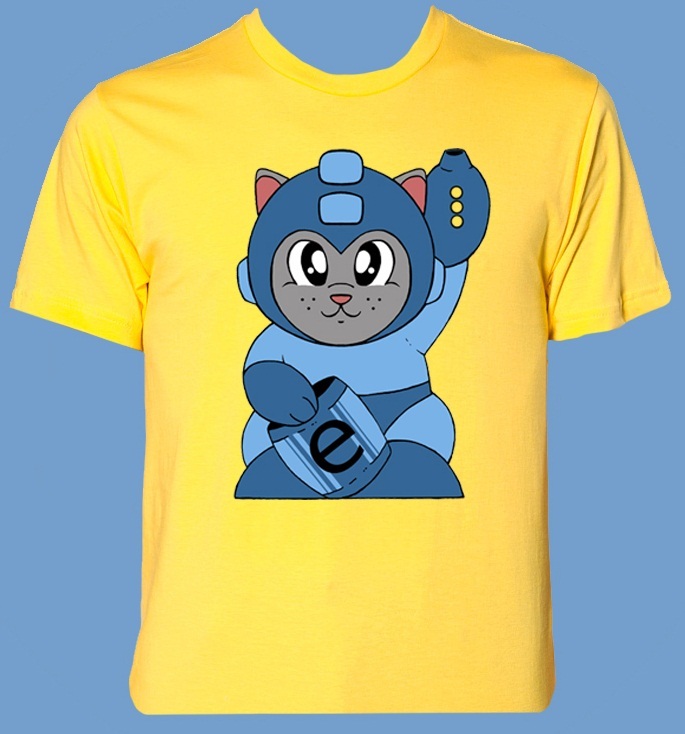 The gaming t-shirt people at Pengew Apparel -- makers of stylized, original design tees -- are offering a new Mega Man shirt. This one's design is inspired by the Japanese Maneki Neko, a beckoning sculpture said to bring good luck to its owner. Pair it with Mega Man and you're certain to bring good fortune your way! If you like what you see, then you can order it for $24.99 USD here at Pengew Apparel. 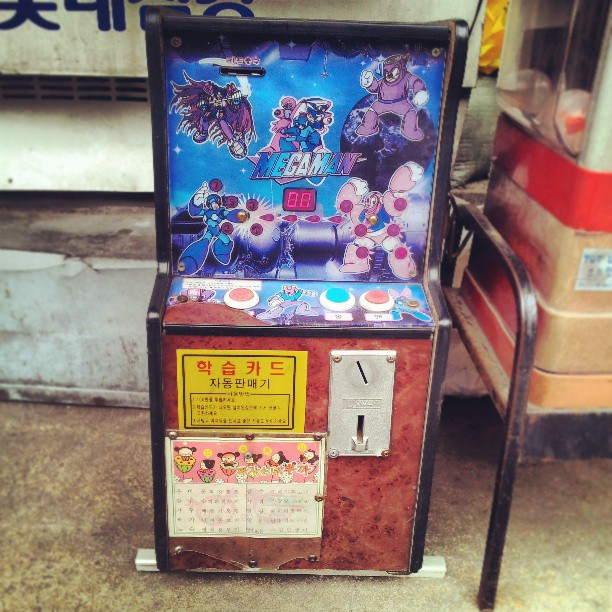 A one sunxez recently stumbled upon this curious contraption in Seoul. It's a coin-op Mega Man arcade game. How does it work? Your guess is as good as mine. 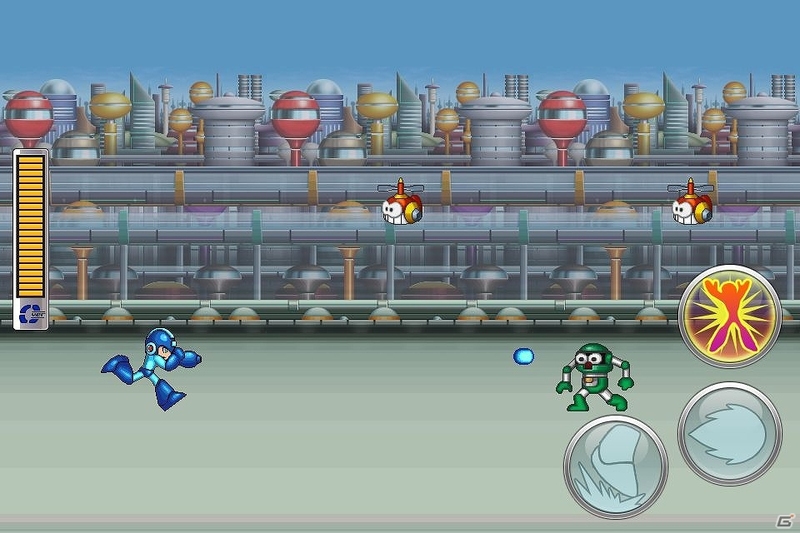 Guts Man looks pretty angry, though. I suppose we're trying to rack up points, or something? Eesh. I think I'd rather play "Cryodrone." 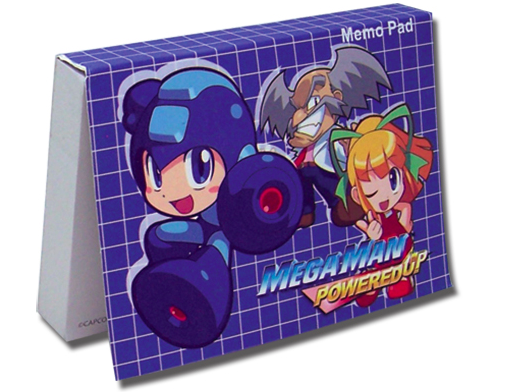 Hey, got any screwy, unofficial Mega Man goods on you? Shoot me an e-mail. We'd love to see what you got. Okay, so Capcom did not flat out confirm a new Mega Man game at PAX East. It was a statement taken out of context. But hey, there was still some good news from the panel. 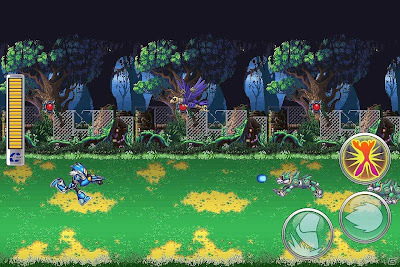 In addition to release dates for Mega Man 4 and Mega Man 5 on the eShop, Capcom revealed the production of two new figures. The first figure is a USB powered statue due out this summer at the San Diego Comic-Con. You can see a hi-res image of it after the break. 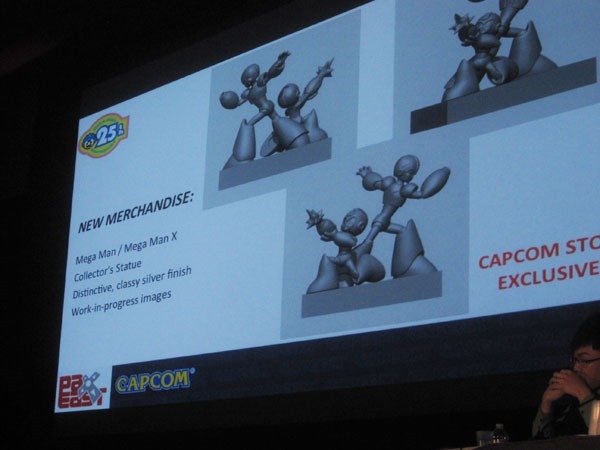 The second figure has Mega Man and Mega Man X together as a representation of the X series' upcoming anniversary. This figure will be exclusive to the Capcom Store (source: Siliconera) . UPDATE: Well this is awkward. Brett just said over the Duck Tales stream he "doesn't know how news got out that a new Mega Man game is on the way, and that it is NOT what he said." "Capcom has clarified Elston's comments, saying that a new Mega Man game has not been confirmed. 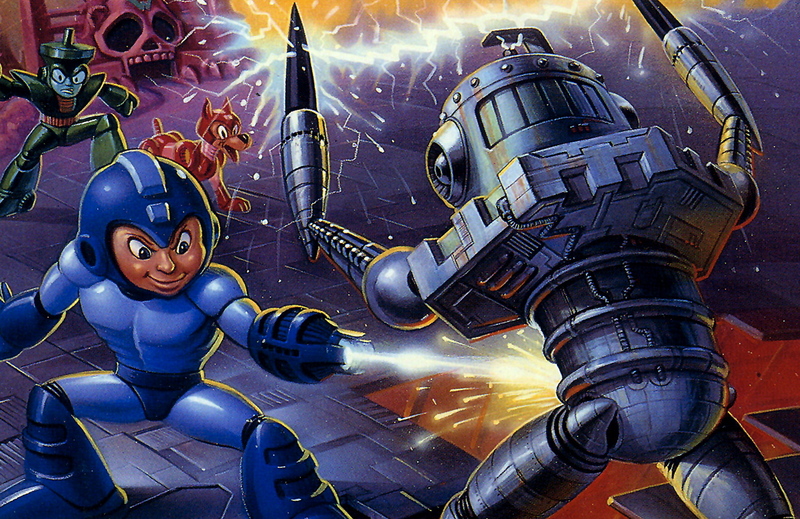 The company is having "ongoing discussions about Mega Man," but it "won't announce anything until something is ready." 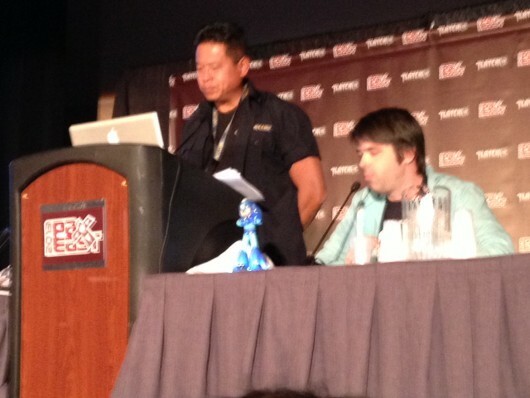 Original Story: According to Joystiq, Capcom Community Manager Brett Elston dropped a bomb at the World of Capcom panel at PAX East: a new Mega Man game is currently in development. Elston was unable to provide any further details, saying Capcom are not ready to officially announce the game just yet. 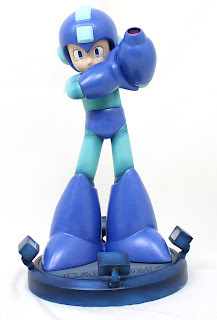 In other PAX-related Mega Man news, Capcom will be releasing a commemorative 25th anniversary statue. 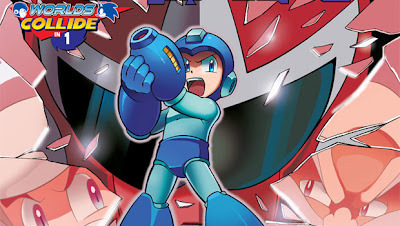 Mega Man 4 and Mega Man 5 were confirmed to hit the Nintendo 3DS eShop within the next two months on April 25 and May 16, respectively. 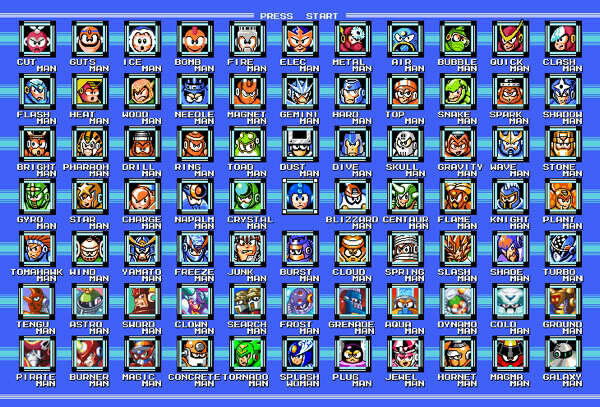 -Can contain any Mega Man character from any series (classic, X, Zero, ZX, Legends, Battle Network, Star Force or Xover). It cannot contain any other characters. -Your work must be in Photoshop PSD format, using CMYK coloring. It must be in A3 (297mm x 420mm) in 350 dpi. -After making this graphic, you may submit it as a GIF, JPG or PNG that is compressed to under 10MB. -Those under 20 must have approval from a guardian to enter the contest. The contest ends April 22nd. There are no region restrictions, so you're free to try give it a shot. The Misadventures of Tron Bonne. Ever Fridat after starting at 2pm PST/5pm EST, they will be streaming another Legends series game, with prizes given out every other week. Once Tron Bonne has been 100% completed, they'll tackled hard mode in MML1, and playthrough the famous Mega Man Legends beta version. More details on the stream can be found here. The stream itself can be seen here. Tune in at 5pm EST! "I know there are individual releases of the older X series and we've been speaking with our guys in Japan to get them on GOG but progress has been slow. It's been more than a year." While it's by no means a dead end, one can only wonder what the holdup is. As fans, I guess the only thing we can do is hope that all the kinks get worked out sooner than later. Rockman Xover Launches "Legend Armor"
Not too long ago we saw a Rockman Xover screenshot teasing the prospect of playing as the classic Blue Bomber. 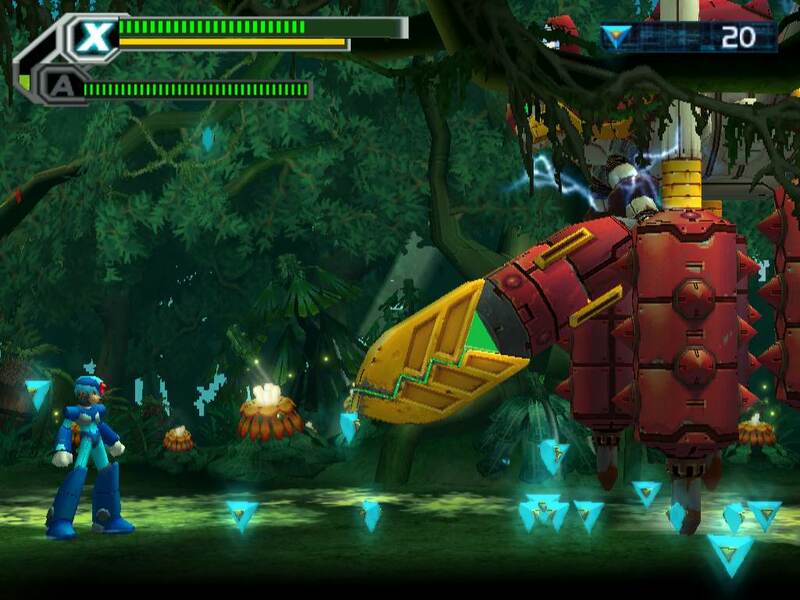 However, Rockman Unity has reveled the truth the image. 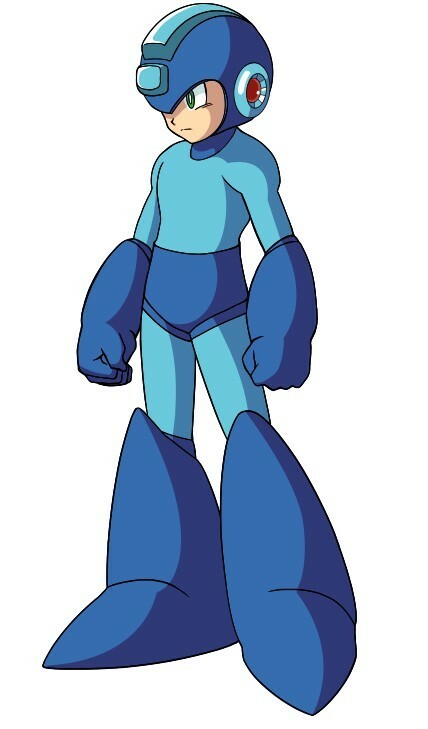 That is not a playable Mega Man, but an armor that OVER-1 can equip. It's called "Legend Armor", and it grants the player access to OVER-R, who looks a lot like Mega Man. Collecting OVER-R's pieces is easy: simply log into Xover. Each day you log in during the campaign period, you'll be handsomely rewarded with a piece of the Legend Armor. OVER-R will be yours in no time at all. 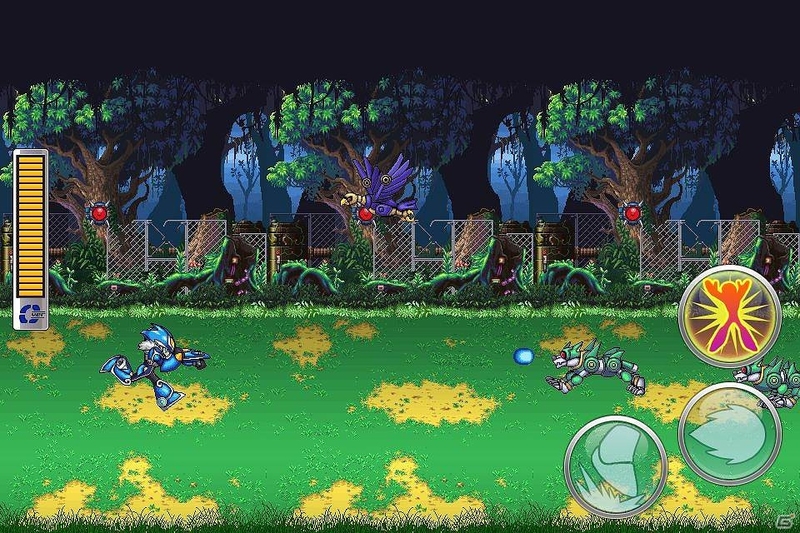 You can check out more screens of OVER-R in action at Rockman Unity. No news on the possibility of other characters showing up as Legend Armors, but I think it's pretty much a given. I can see it now: OVER-X, OVER-Z, etc. Worlds Collide #9 Will Feature Every Robot Master Ever! Comic Book Resources showed off the cover for the ninth part of Worlds Collide a couple days ago, but here's the official solicitation from Midtown Comics. Brace yourself because this one sounds like a doozy! 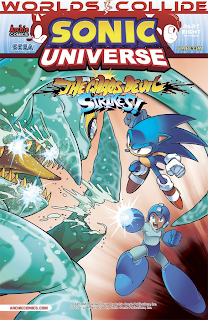 "Celebrate 250 issues of the longest-running video game based comic series, Sonic the Hedgehog, with ‘When Worlds Collide’ Part Nine of Twelve! 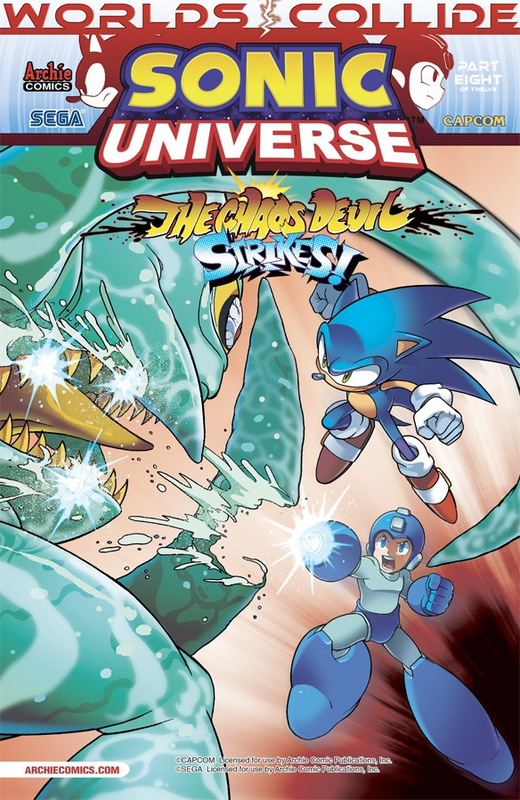 The final act of the crossover mega-event starts here as Sonic and Mega Man stand united against the Wily Egg—and backing them up are all their heroic friends. 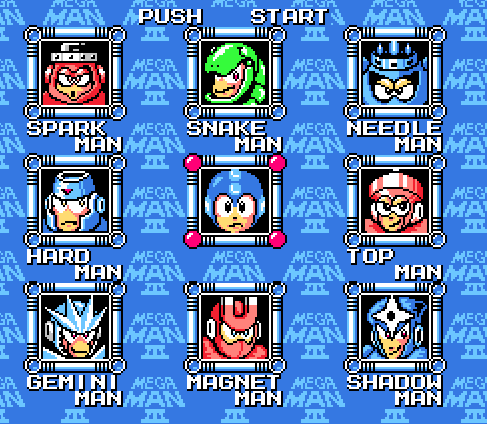 Standing against them are the Robot Masters—all of them! Let the battle begin! 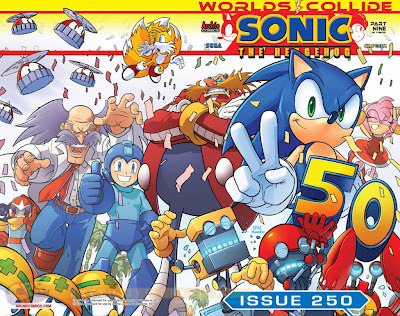 At a whopping 48 pages, this double-sized issue features a special, digitally remastered re-presentation of the first Sonic the Hedgehog issue! Also featuring a stunning new wrap-around cover by Patrick ‘SPAZ’ Spaziante. Plus, choose your favorite hero with the ‘Team Sonic’ and ‘Team Mega Man’ CHIBI variant covers! 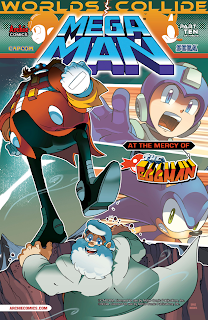 Continued in this month’s Mega Man #27!" 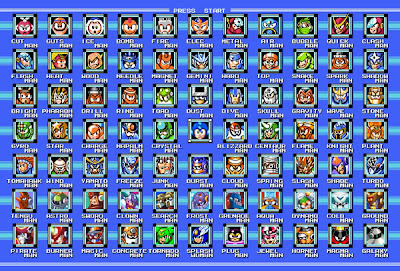 "All the Robot Masters" literally, or just those we've seen so far? I suppose we'll just have to wait and find out! Here's hoping they'll throw in some obscure bots, too. At the very least, Bond Man should be there. That guy is cool. Some of you may remember that, a few months ago, Skybane Zero of 100,000 Strong for Bringing Back Mega Man Legends 3 interviewed Reika Morishita. It was a success, to say the least. 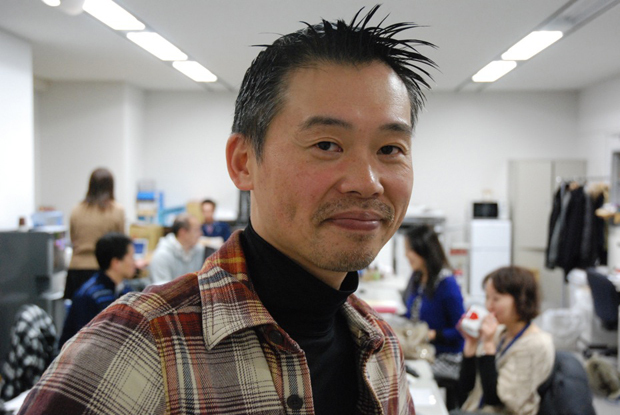 So you can imagine he was eager to try it again, but this time, with none other than Keiji Inafune. Hey, would you like one more Worlds Collide cover before we hit the weekend? 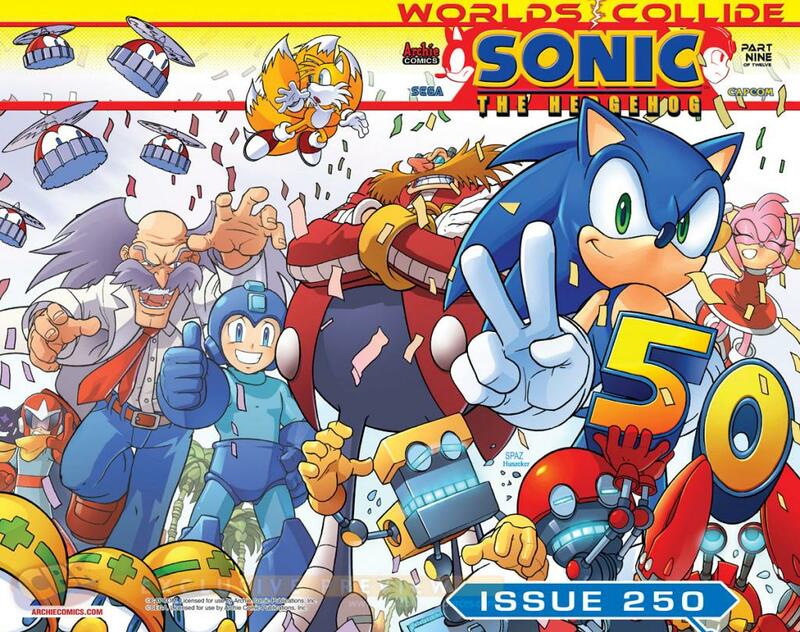 Well, here's the regular cover for Worlds Collide Part Nine (Sonic the Hedgehog #250), illustrated by Patrick Spaziante. This one coincides with the Powered Up variant from the other day. Also, those interested in learning more about the crossover can head over to Comic Book Resources for a sizable interview with writer Ian Flynn and editor Paul Kaminsk. Thanks once again to Mega Man Monthly for the tip! Capcom Japan has announced a special promotion for Onimusha Soul, their browser-based strategy RPG. A number of classic heroines will be showing up as recruitable characters, each redesigned to fit the game's feudal Japan setting. 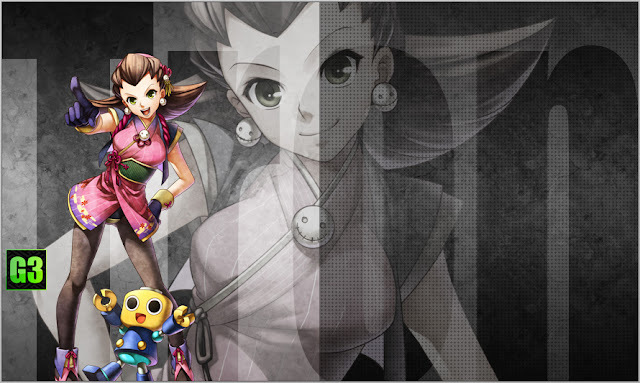 On March 28, the one and only Tron Bonne is poised to join the cast. She appears on the far left in the image above, next to Gotcha Force's Usagi. 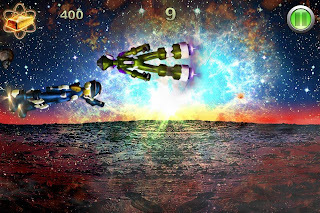 A pair of Servbots appear in the top banner on the game's official site. More art of Tron in her feudal duds will probably show up closer to the 28th. It's certainly an interesting take on the character! 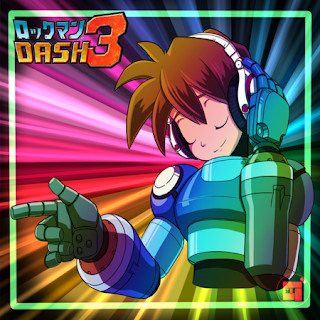 Get Me Off the Moon is proud to announce the completion of the long awaited Mega Man Legends 3 Concept Album project. You can download it now from Bandcamp! For the uninitiated, this project kicked off last year to commemorate the one-year anniversary of the Get Me Off the Moon Facebook group. Fans were encouraged to compose music that they thought would have gone into Legends 3 had it actually been released. Meanwhile, artists would create art that they felt matched the mood of the music. At the end of the day, the album is a fantastic convergence of art, music and a dash of Mega Man Legends passion. Congratulations to everyone who helped make this possible. Swing on by Bandcamp and listen to those tracks! 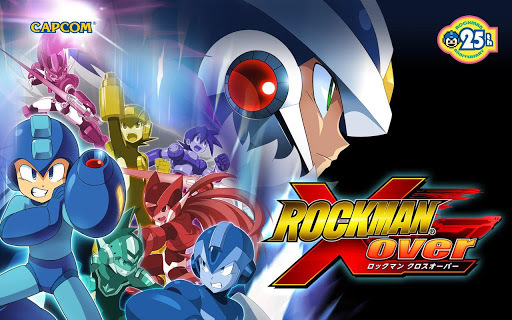 The closure we've been waiting for is finally here: Rockman Online is officially canned. Neowiz confirmed the cancellation with Ruliweb this afternoon. According to the report, the project went under last November following consultation with Capcom Japan. The massive restructure of NeoWiz's own PC development workforce probably didn't help either. So that's that. Farewell, Online. We hardly knew ye. 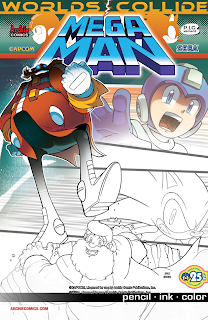 Got an Archie Mega Man itch? Well scratch that baby with the help of Destructoid's monthly preview! 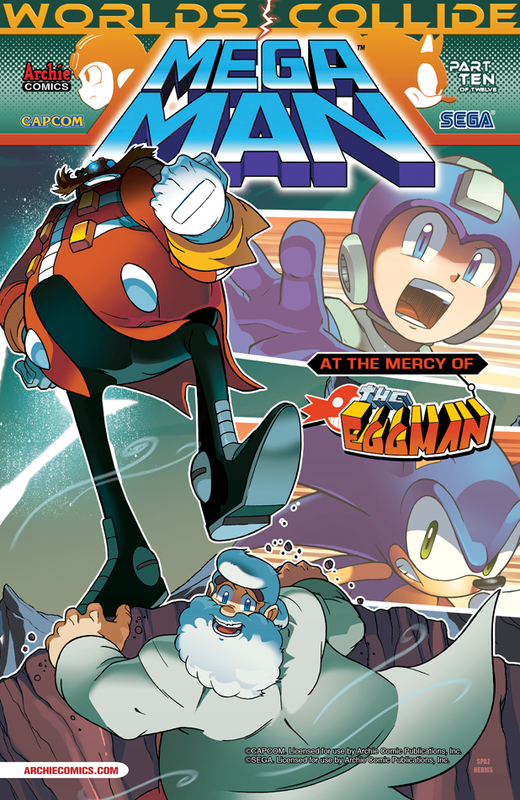 Issue #23 is a stand-alone story featuring a heated face-off between the Blue Bomber and Break Man. This issue also just so happens to be a "prelude" the events of the Worlds Collide crossover that starts in the next issue. Head over to Destructoid to and check those hi-res preview pages! Thanks to Mega Man Monthly for the heads up. 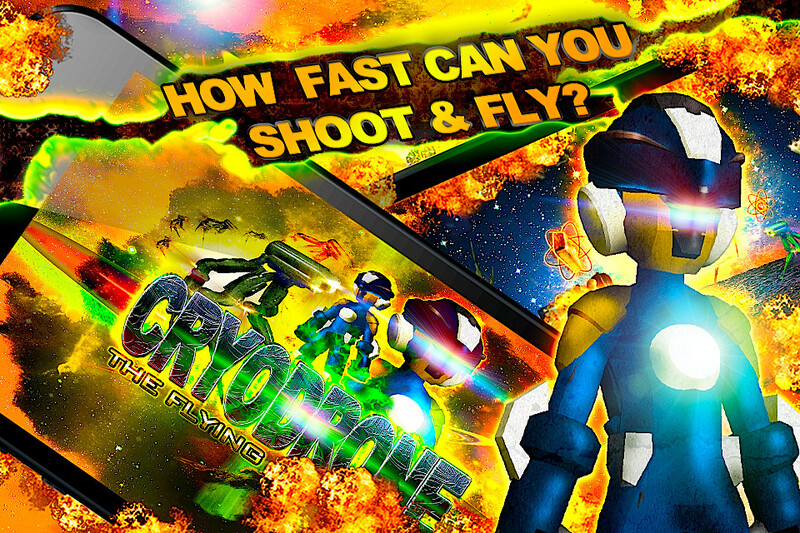 "Cryodrone: The Flying Jet Robot" is a free game currently available on the iOS App Store and Android Market. 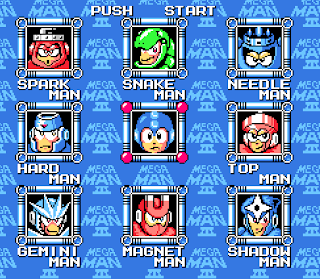 As you can see from the above images, it features characters bearing more than a passing resemblance to Mega Man.EXE. 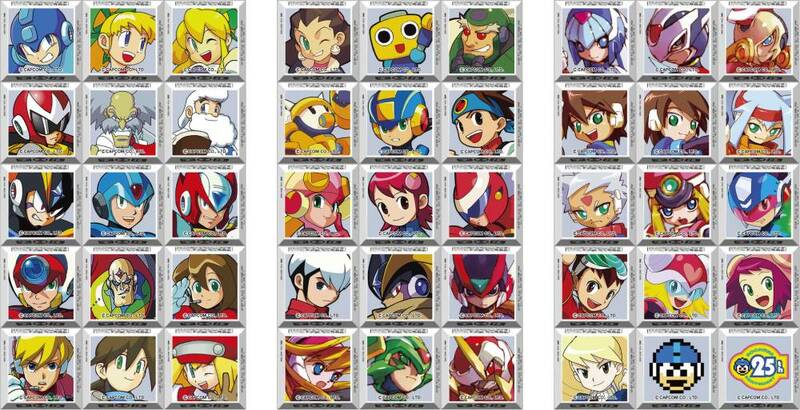 The game itself shares nothing in common with Battle Network -- but jiminy crickets, it sure is rubbish. 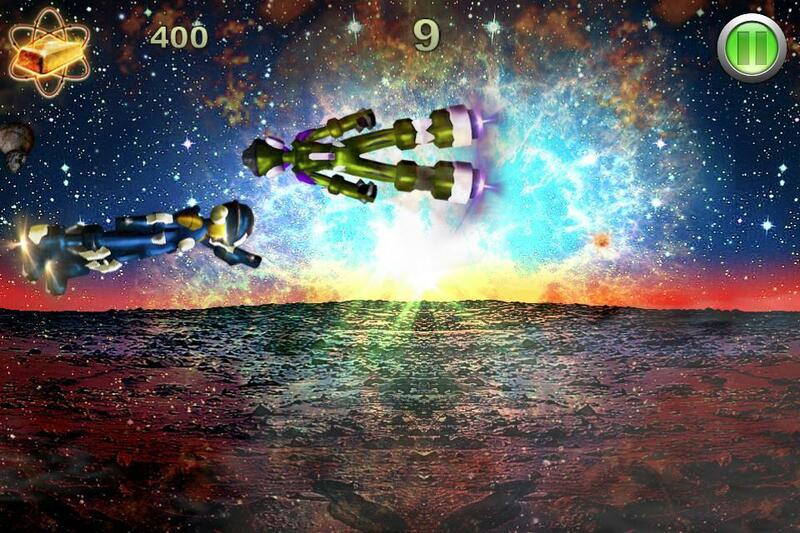 Ugly sprites, looping music, in-game ads... this one has it all. The real kicker is the option to play as other "characters", which are nothing more than recolors of the same guy. Naturally, they cost real money to use. Yeah, no thanks. Shady titles are all but common on digital store fronts. Until some actual quality control is set in place, all we can do is blow the whistle and try to get this stuff out of sight. The third and final poll for Capcom's Rockman themed Ultrabook is up... and it's not very exciting. Simply put, you're voting on which desktop wallpapers will ship with the PC. You know the drill: three choices and the option to suggest your own. Personally speaking, the results of this one won't matter much. They're just wallpapers. You can always change it to your pleasing. In any case, cast those votes here. Thanks for the tip, Sam. 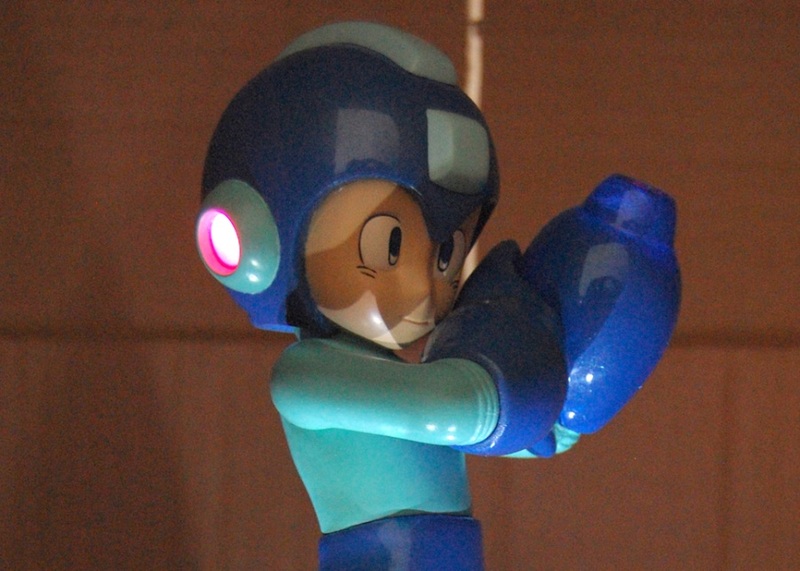 Courtesy of Bluefin and Tamashii Nations, I have acquired my very own D-Arts Mega Man. Now that it's in my possession, I thought I'd try something new: an actual review! Mind, I'm not the best photographer; next time I'll be sure to get someone who knows what they're doing over to my place. So Rockman Xover is now available for Android. In Japan. Google Play's regional restrictions make it a tad difficult to obtain the social RPG if you live elsewhere. Fortunately, there is a sneaky workaround. 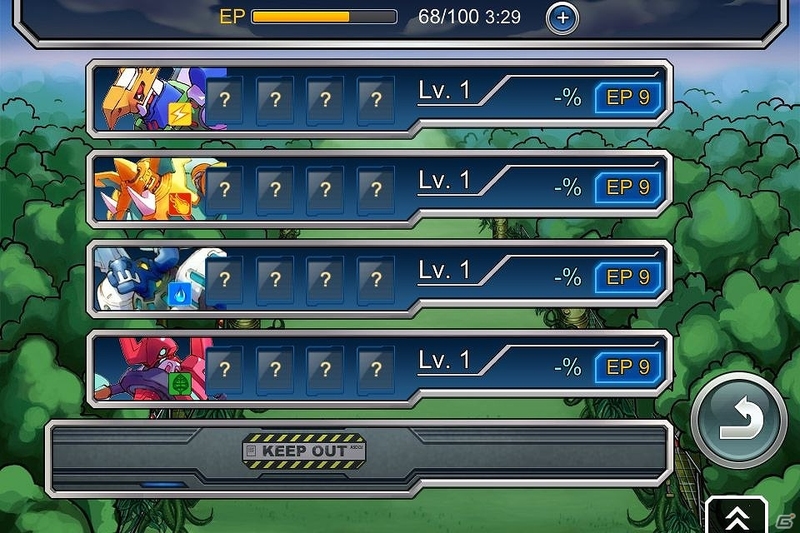 Prof. 9 of The Rockman EXE Zone has put together a quick step-by-step guide to installing/updating Xover on your Android phone outside of Japan. The process involves a specialty proxy app for Google Chrome. As per usual, the game is free. No need to worry about funds and such. Just give the guide a read through and you're all set. For a limited time only, the beloved Blue Bomber and his cohorts are getting their own chocolate treats in Japan. 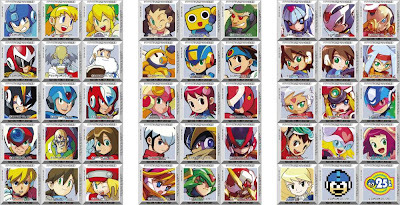 The e-Capcom retail store in Aqua City, Odaiba is rolling out 45 different pieces of "deco" chocolate. Just look at all those fan-favorite characters! The bit-sized sweets will run you 60 Yen a pop (roughly $0.64). Grab 'em if you can because these will go fast! Hey, want to take home the artwork of the Mega Man Boss Battle Tribute gallery? Well you're in luck because the Gauntlet Gallery are selling 'em! There's a handful of fine pieces to choose from. Simply select your favorite(s), pick a canvas size, and fork of some dough. Mind you, a majority of these pieces are reproductions. There are a few originals up for grabs, but they're going to cost you a pretty penny. Tomahawk Man and Andrew Butterworth's original Dr. Light capsule, for instance, run for $3000. That's a lot of Zenny! If this tickles your fancy, head over to the Gauntlet Gallery store. All original art and last print of any edition will not ship until March 30. 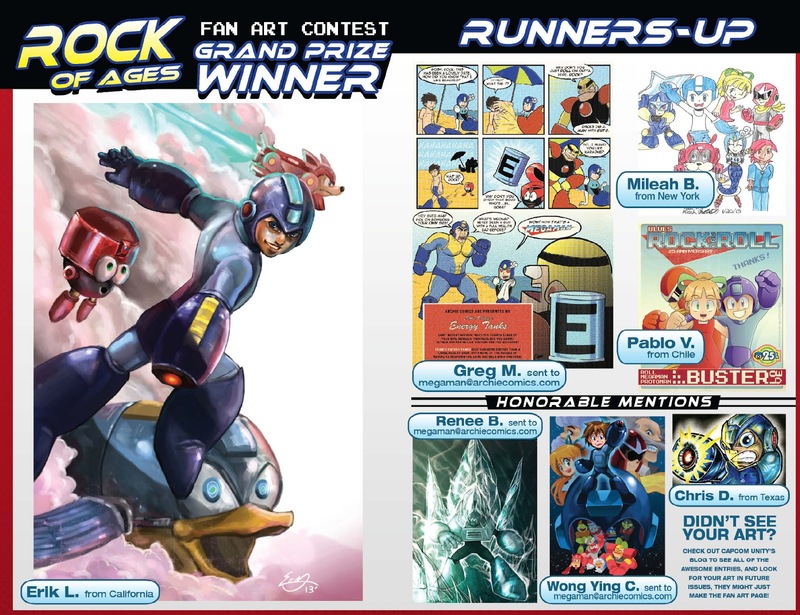 A couple months back Capcom Unity and Archie Comics launched a community-wide Mega Man fan-art contest. 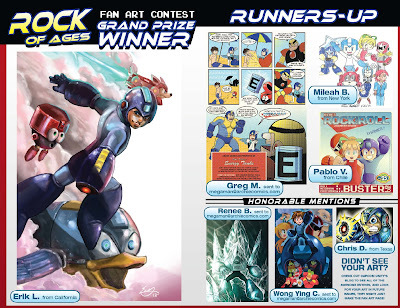 The grand prize winner would have their art featured on a full page in issue #23. Today, the winners have been revealed! Head over to Capcom Unity for a close look at each winning entry (and honorable mentions). If your submission was picked, congratulations to you! 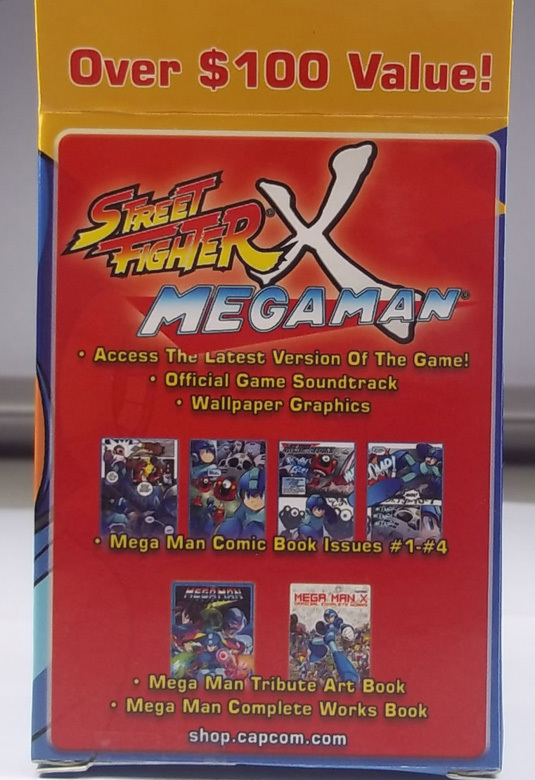 Thanks to Mega Man Monthly for the heads up. If you haven't done so already, you can now pre-order the Mega Man USB Buster from the Capcom Store. 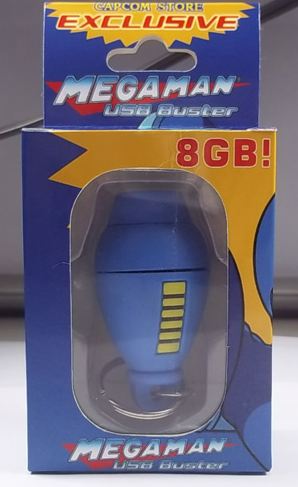 A cool $20 gets you an 8GB stick shaped like the Mega Buster, and it's loaded with digital content. 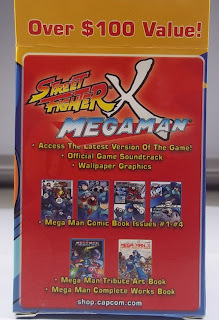 Inside, you'll find the first four of Archie's Mega Man comic, the entirety of Mega Man Tribute and Mega Man X Official Complete Works, the Street Fighter X Mega Man soundtrack, a batch of SFxMM wallpapers, and a quick link to download the game itself. 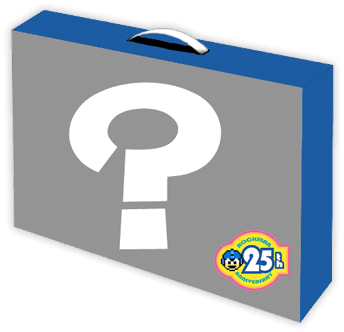 Snap up your pre-ordr now and Capcom will throw in the 25th anniversary lanyard for $2. Currently on display at the Mega Man Boss Battle Tribute show in San Francisco, Andrew Butterworth's scale model replica of Dr. Light's capsule from Mega Man X. No, it's not a real hologram -- it's actually a 2D video cleverly projected using an old parlor trick. "This piece was printed on solid white PLA filament using a replicator 2 from makerbot. 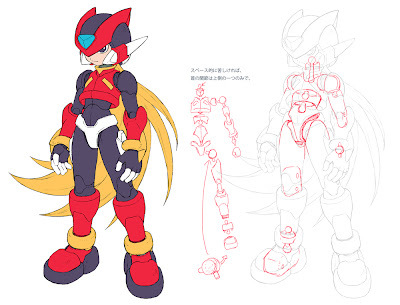 It was first modeled in Maya using the original SNES sprite as reference. I got the idea of using the pepper's ghost technique after talking to a friend who has done similar art installations on a much larger scale. Once printing was done, I got to sit down, relax and paint. It reminded me of building model airplanes on my mom's kitchen table. The movie was all taken from a sprite sheet and animated in After Effects. If you get to see the piece in person there is an cool easter egg animation loop. 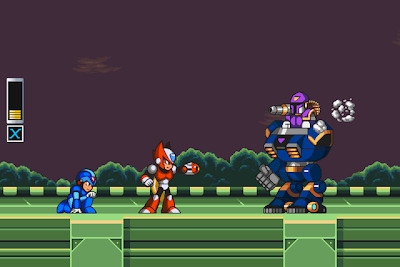 Anyone that has ever played and cleared Mega Man X will get it." If you're in the area, swing on by the Gauntlet Gallery and check out this amazing piece in person! For those not in the know, GameCenter CX is a cult favorite Japanese television television show in which the star, the charming Shinya Arino, is tasked with completing outrageous video game challenges. In between the anguish and hilarity of the task, Arino does some other game related segments such as talking to game developers and visiting game centers. It's all quite entertaining! Anyway, the episode featuring Rockman 4 has recently been subbed and posted to YouTube. Believe it or not, this challenge spans two whole episodes! I've embedded the first part above. Click here to check out part two. Enjoy! It's a good one!